nevard_111011_CatcottB_IMG_1462_WEB, a photo by nevardmedia on Flickr. 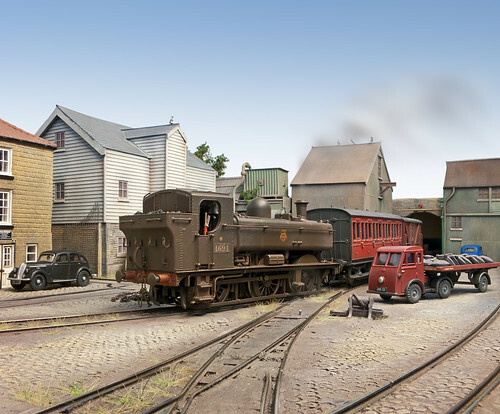 It's not generally known, but following on the success of the Ealing Comedy, 'The Titfield Thunderbolt', the iconic Ealing Studios shot a sequel called 'The Return of the Titfield Thunderbolt' in the summer of 1956. The film was released the following summer, but was a complete flop due to the total Americanization of the cast, so sadly the movie has been lost in the mists of time but does occasionally make a secret appearance as a projected 16mm colour print at Lodge meetings in the area. 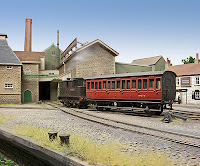 The film which was shot on the Highbridge Branch of the former S&DJR and used a Sentinel vertical boilered engine borrowed from the Marriott, Foster & Dent Brewery in Bath. 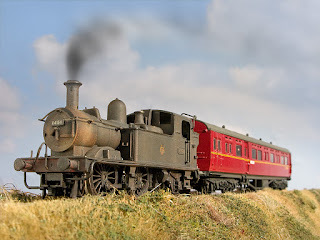 The ex GWR 4 wheeled passenger carriage was loaned from British Railways Pontypridd Permanent Way Department and was hastily repainted in BR Carmine for the film. 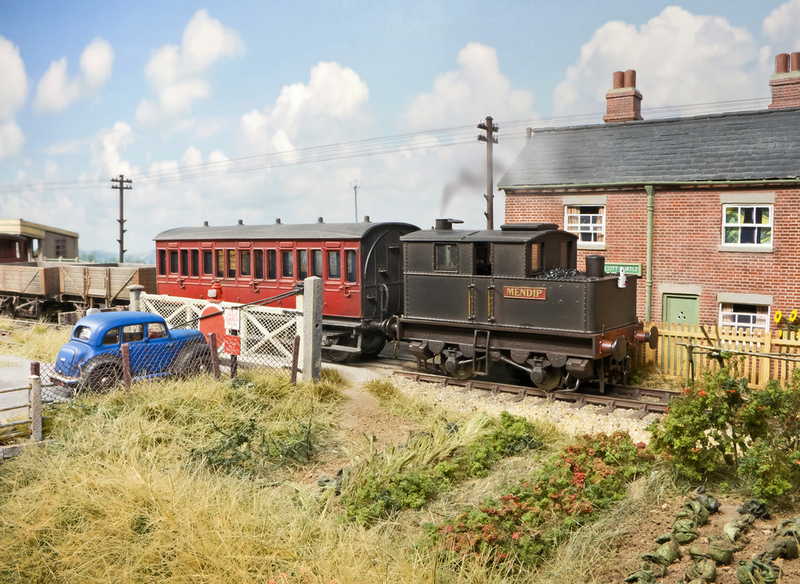 Sadly the carriage caught fire during a take when the on-board still producing 'Mallingford Magical Moonshine' blew up near West Pennard a couple of weeks after this shot was taken. Ivan Locksmith, as always was around to capture unusual workings on the former S&DJR, and as usual he has posed his latest car in shot, much like his good friend Ivo peters. If you believe any of the above, you'll believe anything! Catcott Burtle will be at Wycrail on Saturday the 5th of November, so though it best to dig the old girl out for an up and under. And for people that think photography is all Photoshop these days, only the puff of exhaust blowing in the strong south-westerly is. 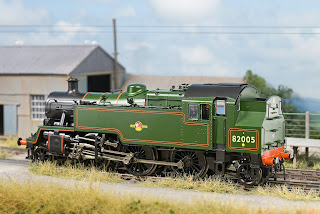 I was just looking through last year's Warley Show photos and spotted a couple of shots that didn't make it into print due to lack of space. The subject to today's random post being that we don't always need to use that popular track system produced in a well known holiday resort - there are other options for those who'd like a break from the norm. Getting to the point; above and below is just one of those from Tillig - the lack of moulded plastic bits to represent those bits on a real point that are made out of rail is one of the first things to catch my eye. 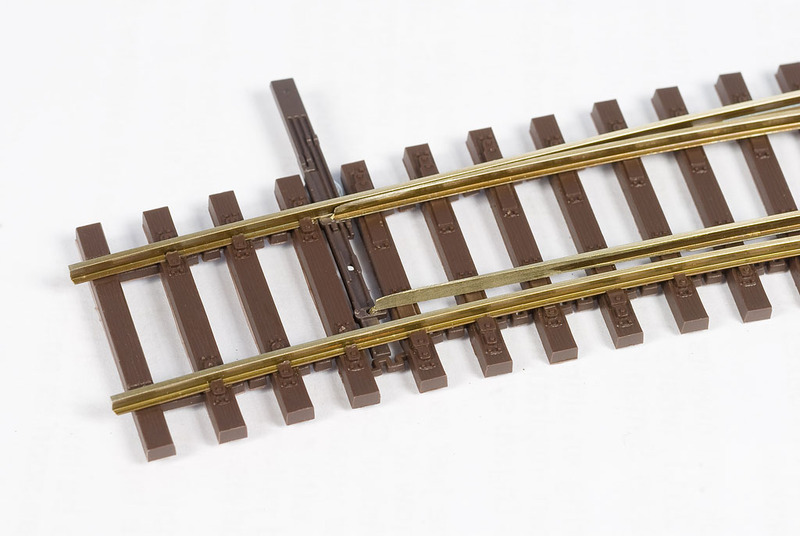 The base is also slightly flexible which allows the point to be bent slightly to fit in with a flowing track layout - this until now has only been possible with hand laid track. Then there is the tiebar - it's nice and slender and not too far removed from the real thing in looks - no crushed Dalek as seen on many ready-to-lay track systems to spoil the look sitting on top. The movement of switch rails simply rely on the rail flexing, no unsightly knuckle joints to fail electrically once painted. I suppose this is starting to read a little like an advert, but I'm not being paid - this just an observation of other options that don't take one down the hand-built route if that's not ones kind of beer. Purists will of course say that the track is H0 and that the sleepers are too close together for OO, and that it conforms to European rather than British practice; but people who know me know that my view of toy chuffs chuffs is that it is the overall effect that counts, and above all if things are well done, a far more satisfying model railway will result over that one that maybe has the 'correct' 1963 vintage flangeway bolts surrounded by shoddy modelling. From an historic scenario, flat bottomed rail to depict a British railway scene with highly distinctive bullhead rail and chairs is maybe too far removed in looks, but from just after the WW2, Britain's railways started to use flat-bottomed rail for the main running lines, so it is quite suitable for that popular transition era onwards which still interests the bulk of Britain's railway modellers. 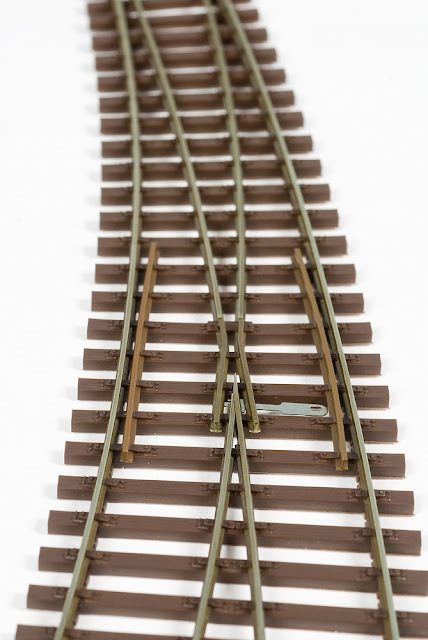 And of course there is nothing stopping one from using a length of C+L bullhead flexi track in the sidings where the sleepers are often hidden under a layer of clinker, thus hiding the sleeper size and spacing differences. 111008_cornish_int_IMG_1410_WEB, a photo by nevardmedia on Flickr. 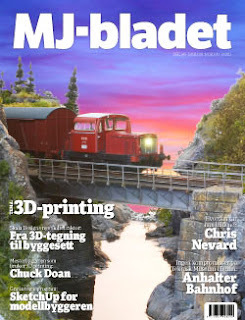 A very kind Mr Sweet mailed me this rather nice bridge casting for the Cornish project last week. I'm sure you'll agree that it is a wonderful piece of work, with nice deep rendering which would be quite tricky to achieve by scratchbuilding. When it arrived, I expected it to be resin or plaster, but much to my surprise it is fibreglass! The stone being moulded into the gel coat. 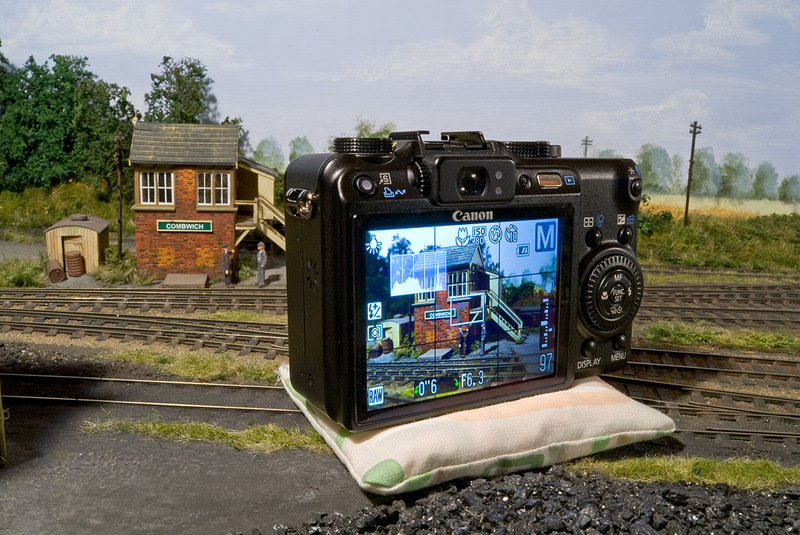 The joy being that it is very tough and very light - ideal for a portable layout. The shot above shows it in primer in preparation for dry brushed top coats of various pale greys, beige, browns, creams and so on. Real stone is a fascinating mix of subtle different colours and shades, and certainly nothing like the painting-by-numbers approach often used which feature large blocks of solid colour - that approach suits engines and carriages just fine, but not hacked up materials straight from the ground which will have been exposed to the elements for decades. I'd be very interested to know more about this stone effect beauty, because fibreglass is not a material we normally associate with toy chuff chuffs, it being more a material of yachts, dingies, kit-cars and the aeroplane industry. nevard_111008_BQ_IMG_1444_WEB, a photo by nevardmedia on Flickr. It's hauling a Ratio 4 wheeled ex-GWR passenger carriage. A few of these lasted into the early 1950's, so it's quite possible that the BR carmine is accurate. Given that the kit is 30 plus years old it still makes into a nice model. The lorry to the right is a EM76503 Pocketbond "Classix" Jen-Tug artic & flatbed trailer GG2301 in "British Railways" livery. 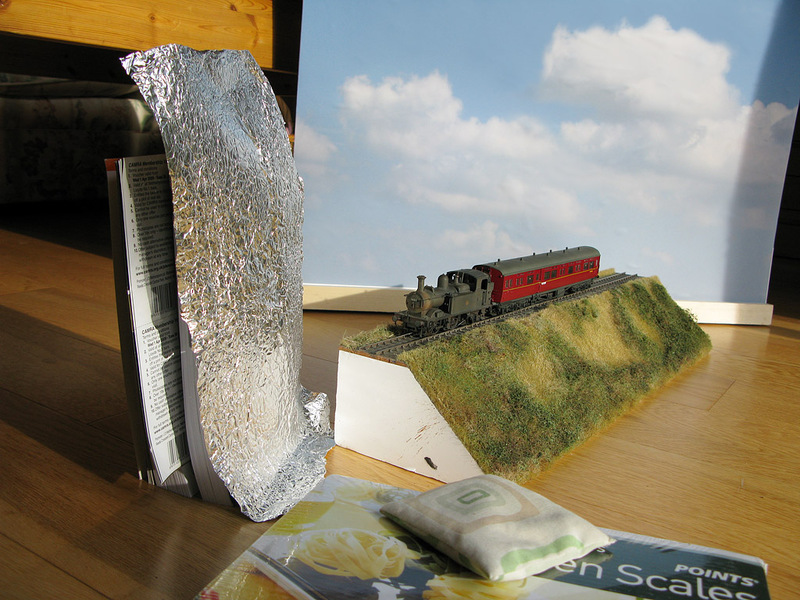 I have de-railwayised it be removing the railway markings, finished it with a puff of matt varnish and added a load of bags - the load can be whatever you fancy! 111007_cornish_int_IMG_1430_WEB, a photo by nevardmedia on Flickr. Track laying on the Cornish thing using C+L components; note the folded etched brass chairs where strengthening copper clad sleepers are required. They are a test product from Pete Harvey Designs www.phd-design.co.uk/ . Normally one would simply solder the rail to the sleeper top, then have to cut in half the C+L plastic chairs and glue - quite a fiddly task. All that's needed here will be a good splosh of liquid flux and a dab with a loaded soldering iron. The brass also takes care of the gap between the sleeper top and the bottom of the rail. Once painted, ballasted and weathered, they'll blend in just fine - especially seeing in real life they're a lot smaller than seen here. 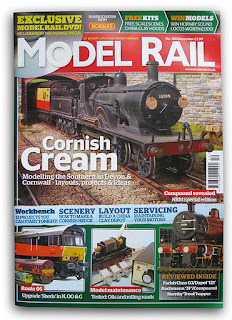 News; Photos of latest Hornby samples at Model Rail Live (B1, Gresley full brake etc) photographed on Brewhouse Quay. 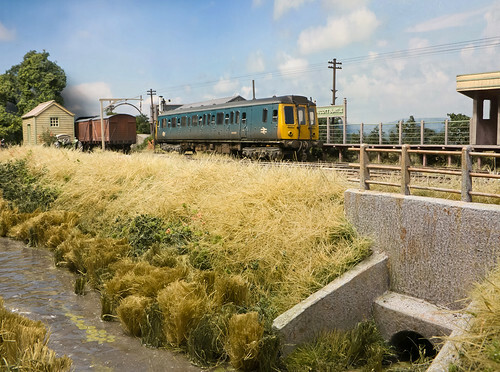 Make a scene: Dave Lowery's Dunmere Crossing - the main photo taken by yours truly at Model Rail Live - this diorama was the catalyst for my Cornish project. 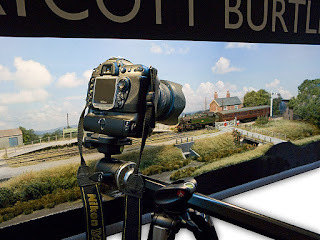 Ruddington OO layout (photos by yours truly, not as credited) - a super-huge layout of the fromer GCR station at Ruddington. 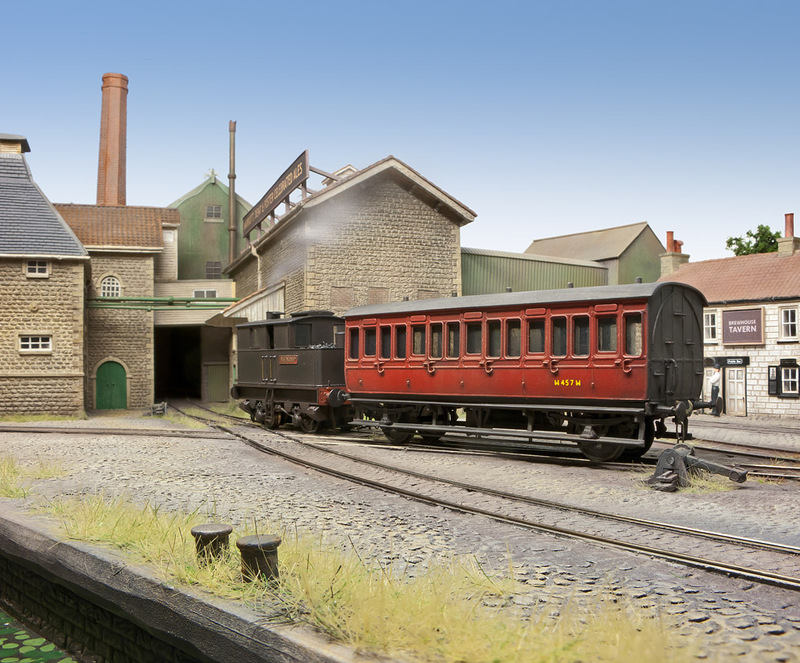 You can visit this latyout for real at open days. 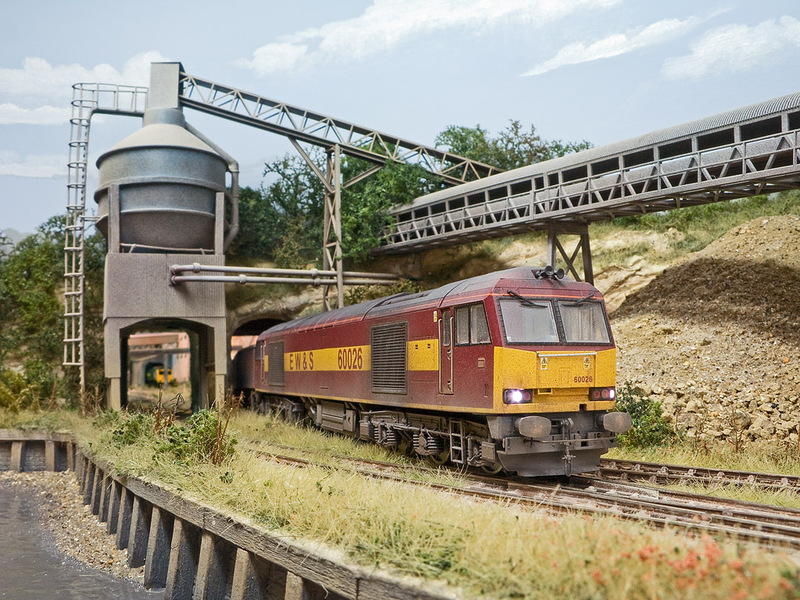 Fen End Pit - 16mm scale narrow gauge, with actual working dragline and gravel grading machinery. The gravel moving in shots is not Photoshop, but long exposures. Its was great fun to shoot and one to keep an eye out for at shows! If you have kids, they'll love it! 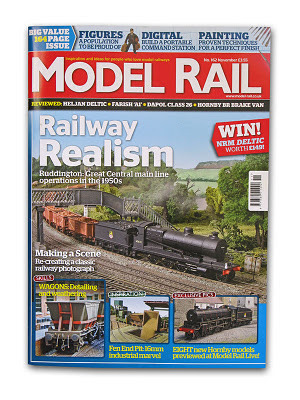 Order your copy of Model Rail here! 111002_cornish_int_IMG_1427_WEB, a photo by nevardmedia on Flickr. The little GWR/LSWR-Cornish-esque 2'10" x 12" micro continues to take shape. Not bad I guess seeing it was only a twinkle Sunday before last - but it is only dinky winky so no great challenge. 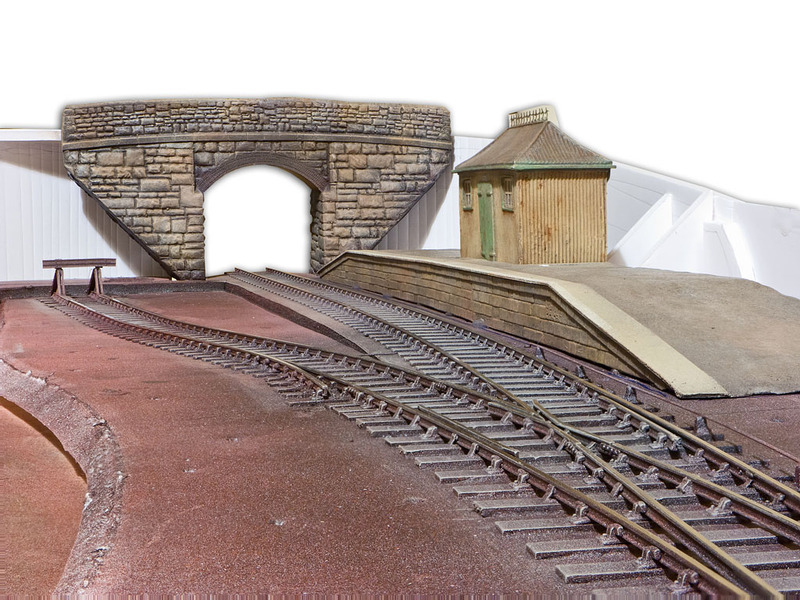 Yesterday you saw the GWR 'pagoda' and platform manifest, and the afternoon before saw a little track construction using C+L components. Note the lower level siding and catchpoint, something that's nearly always missed from sidings joining main running lines on models. 111002_cornish_int_IMG_1420_WEB, a photo by nevardmedia on Flickr. 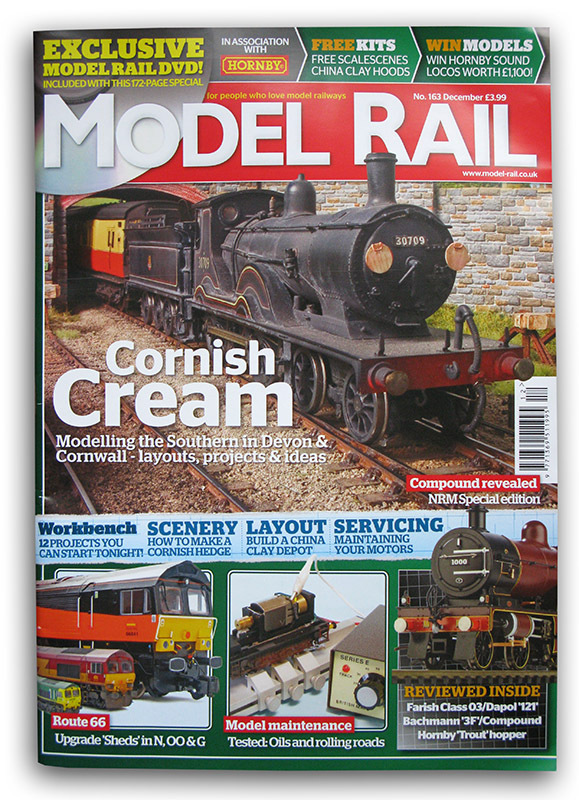 What better that to move the workbench outside when the weather is as good as it has been! No need to hoover up after either! This weekend saw the repaint and weather of a Bachmann Scenecraft GWR 'Pagoda'. The weekend also saw the construction of a short platform from foam board, embossed plastic card and Das modelling clay. Note the faded BR Southern Region colours, this to display ongoing region changes between the SR & WR.